Red tape? No problem. 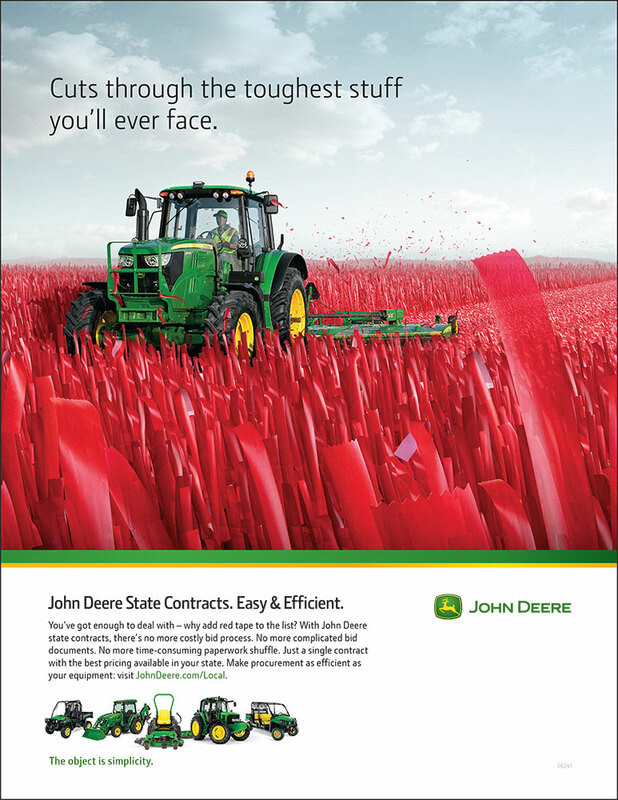 The John Deere State Contracts ad is simple and straightforward, utilizes bold, straightforward symbolism to pose the question: Why deal with all the red tape when you don’t have to? State contracts refer to the agreements for services and commodities that are often used by multiple different state agencies at once. This often creates the “red tape” referenced in this ad. The ad uses concise wording to communicate John Deere’s commitment to efficiency in all aspects – from paperwork to procurement.